International auctioneers "Coys" have set new world records for two Range Rovers, originally commissioned for King Juan Carlos of Spain, at their Essen Techno Classica sale in Germany. 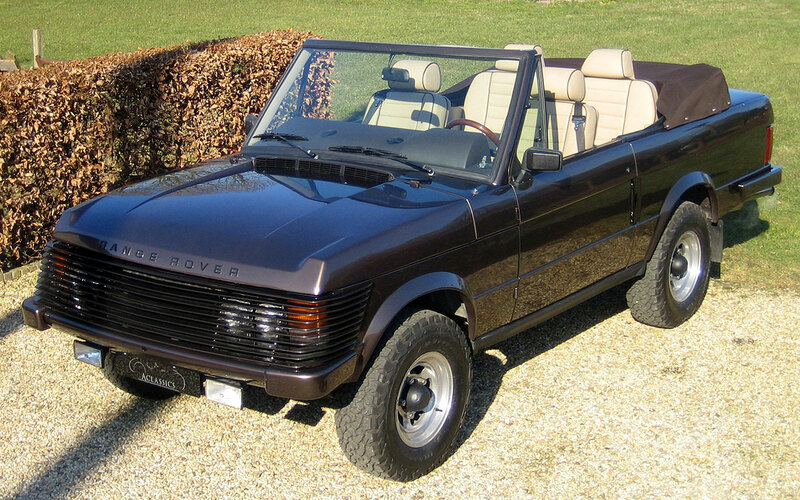 The 1977 Range Rover by Alcom Devices sold for €78,750 (97,049 USD) and the 1973 Range Rover Cabriolet went for €78,750 (97,049 USD) as well, proving the trend that early Range Rovers are becoming increasingly popular. Given the political climate of the time, the 1977 Range Rover was ordered from Alcom Devices in London and boasted, amongst other features, special armour, 10mm bulletproof glass all round and a James Bond-like communication system for the King, which made it possible to track him in cars, yachts, helicopters or anywhere else. The 1973 model was used by Juan Carlos in the early 1970’s before his crowning as King of Spain. The interior was trimmed in sumptuous leather, with very comfortable front and rear leather seats, and the dashboard was transformed in the usual Wood & Pickett fashion. The exterior was fitted an “H” shaped grille of horizontal bars, which gave the front end a more stream-lined appearance, and Wolfrace wheels. Coys upcoming auctions are Spring Classics on 24th April in central London, followed by Legende et Passion in Monaco on 11th May, coinciding with the historic Grand Prix.